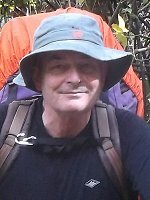 We are a group of dedicated volunteers who will give you the practical skills you need to have an enjoyable and safe time in the New Zealand Outdoors. All of our Instructors are experienced in the outdoors and have industry recognised qualifications. These dedicated Instructors have real life experience which they use to provide learning from a practical perspective. All of our Instructors are passionate about giving you an experience with some tricks of the trade which you won't find online or in a book. Outdoor Training NZ has been formed by dedicated industry standard qualified outdoor Instructors who over many years have proved how important practical and theoretical instruction is before you venture into the outdoors. Our experience shows that every person who goes through one of our quality courses will have a multiplying effect on the community we serve; this is due in part to the effect we can and will have on leaders in schools, tramping clubs, youth groups, and many other outdoor organisations. The costs incurred with our courses are kept as low as possible because our Instructors are all highly motivated, experienced volunteers who want to share their years of experience with you. UCOL Fellow, NC Outdoor Rec -L4, MSC Council Award, ONZ Volunteer of Year Award. Ph.D., M.Sc. (1st class Hons), B.Sc., Adv. Cert. Adult Teaching, NC Outdoor Rec (Leadership) Bush-Walking - L3, Cert. Outdoor Leadership - First Aid Instr., PHEC, ECI L2, current OFA. 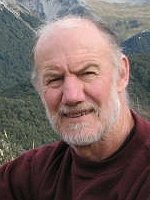 Member Bush & Risk Management Technical Advisory Committee, contributor to the revision of the OFA manual (2012) and revision risk management manual (2013), current branch chair MSC Manawatu. Current warrants: Bush 1, OFA, Risk Management. New Zealand Order of Merit, Dip. Outdoor Leadership - Bush, Dip. Bush Safety and Appreciation, NC Outdoor Rec (Leadership) Bush-Walking - L3, MSC Lifetime Award, ONZ Volunteer of the Year Award 2010. Land & Marine Search Management Qualified, current OFA, MSC Council Award, contributor to the 2005 & 2010 revisions of the MSC Bushcraft Manual and the production of the MSC river safety DVD, former member and chair Bush Technical Advisory Committee 2003-2011, Life member Levin Waiopehu Tramping Club, member FMC, former member NZDA, Police Silver Merit Award, Police LSGC & 3 bars, LandSAR Advisor to Police, Police SAR 11yrs, LandSAR 38yrs (current committee member Horowhenua LandSAR), retired from NZ Police in 2012 after 40 years service. Outdoor Safety Auditor - ROSA and Outdoors Mark (current), Chair/Convener - Bush Technical Advisory Committee (current), Lead Auditor Certificate (Adventure Activities), Accredited QSA & ISRS Safety Auditor. Past MSC Executive member and programme Manager (Bush, Alpine & Abseil), MSC Council Award. Dip Outdoor Leadership (Bush), Dip Outdoor Leadership (Abseil), NZ Certificate Recreation Safety Auditing (Level 6) - [first in NZ to acquire this award], NC Outdoor Rec (Leadership), SARINZ Leadership Instructor, NZ Forest Ranger Certificate, Advanced Trade Certificate (Boilermaking). SFRITO Workplace Assessor, NZOIA Bush Assessor. 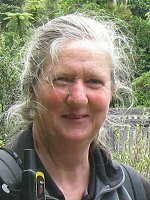 NZ Special Service Medal (Erebus), Justice of the Peace/Marriage Celebrant, Chair - Waimakariri Ecological & Landscape Restoration Alliance Inc (WELRA) - [current], Ex Chair - Canterbury Environmental Trust - (current member). Current warrants: Bush 2, Alpine 2, Abseil 2, firearms, Bush & Abseil assessor and moderator. 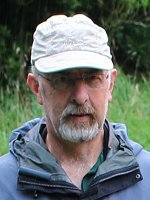 Over 40 years as an MSC instructor. B. Admin Leader, Dip. Outdoor Leadership -Bush, Dip Adult Ed & Train - L5, MSC programme manager for ODL & bush 2007 - 2010. NC Outdoor Rec - L3, L4 & L5, NZDF LSGC, PHEC, current OFA, MSC Council Award, Skills Active Assessor in adult Ed - L3., led the 2010 revision of the MSC Bushcraft Manual and the production of the MSC River Safety DVD. Regional Evaluator/Assessor. Current warrants: Bush 2, Bush & ODL assessor, trainee OFA. MA Dev Studs,. BA Hons, Double Major Sociology and Anthropology, National volunteer coordinator: Save the Children, Chair NZ Alpine Club Wellington section. 2008 - current Evaluation and Development Manager: MBIE & MFAT; 2006-2008 Senior Advisor Crown Agents. Alpine walking, mountain biking and sea-kayaking guide for Adventure South, Marlborough Sounds Adventure Company and Sea Kayaking Adventures. 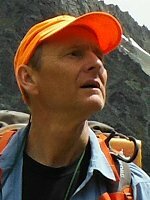 40 years climbing and tramping experience in NZ, South America, Himalayas, European Alps and North American Rockies. Adventure racing in Australia and NZ. Board member of Cressy House Trust, Society for International Development, Maungaraki School. Member Maungaraki community association. LandSAR member Wellington. Employed 1992-2005 various roles Consultant, advisor evaluation and project manager for various international sections of CARE, Save the Children, Catholic Relief Services, UNICEF & UN WFP; President South Aust. Soc. for International Dev., Advisor to Aust. Council for Overseas Aid, Tutor/Coordinator: Flinders University & Research Assistant/ Research Officer Monash University.